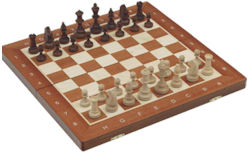 Chess is a strategically deep game and it is no surprise that players often struggle to find the right strategy over the board. Computers may be able to show a good move in a position, but they can’t explain how it should fit into an overall plan. In The Science of Strategy, Alexander Kotov takes a methodical approach to this mysterious subject, breaking it down into clear themes. He starts with the crucial role of the pawn in chess, before systematically discussing a series of key strategic elements to complete the overall picture. Finally, building on what has gone before, one of the most difficult aspects of chess is discussed: the ability to evaluate a position and conceive a plan on the basis of this evaluation. 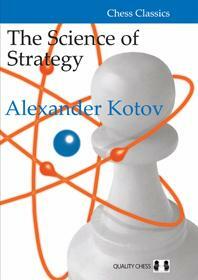 Kotov’s clear and methodical style makes this book an ideal guide to chess strategy. He describes the chess in words rather than relying overmuch on variations, and illustrates his ideas in insightfully annotated positional games, with the likes of Alekhine, Botvinnik and Karpov featuring heavily. Alexander Kotov was a formidable grandmaster of the Soviet school. He was the 1948 Soviet Champion (jointly with Bronstein), and a member of the USSR gold-medal-winning team at the 1952 and 1954 Olympiads. He is also renowned as a chess author, most famously for Think Like a Grandmaster.